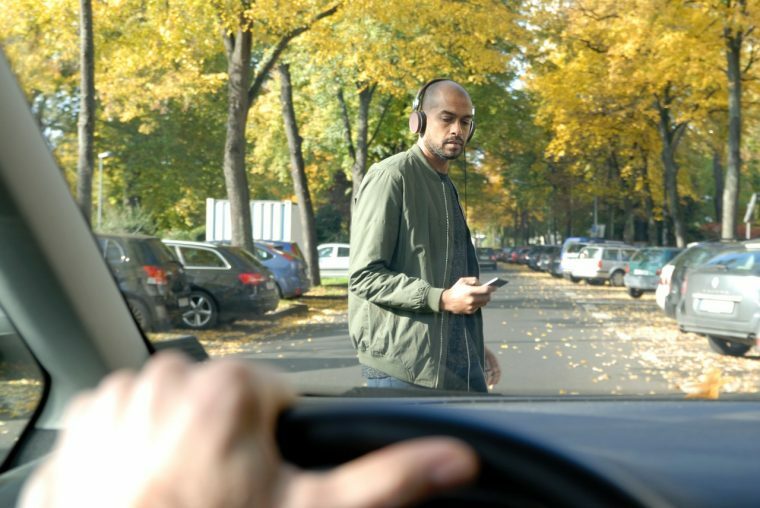 We reported last year about how pedestrian-car collisions have been sharply rising—the National Highway Traffic Safety Administration reported that fatal pedestrian crashes in 2016 had jumped 9% over the previous year. With that in mind, there is a way to try to mitigate the effects of getting hit by a car (at least at lower speeds). Basically, the idea is to get in the air and to turn the hit into a roll up the car, according to stuntwoman Tammie Baird, who was speaking to Inside Edition. The most important thing, Baird said, is to try to get onto the hood, so you don’t get knocked forward to the ground in front of the possibly still-moving car. In addition, getting on top and rolling turns the straight-line force into a rotating one. So, step one if a car is coming at your side is to lift the closer leg off the ground so all your weight is on the other side. Even if you can’t do anything else before you are hit, this might at least sweep you toward the car rather than away. The second step is to jump—again the idea is to get onto the hood and roll, so bring your arms up to protect your head (the third step), and prepare for the force of the car to roll you up the windshield or back down the hood. Finally, when you stop moving, if you can get up and off the street, do so, though ask the driver that hit you to stay put and get pictures of their car and license plate. Call the police, and go directly to the hospital—according to Dr. Armand Dorian (whose name I hopefully spelled correctly), you would be surprised at the injuries that you would have after an accident but just don’t feel yet. “Don’t let the adrenaline rush fool you into thinking that you’re not hurt,” he said.